Photographed work by Jessica G.
This season we are seeing lots of color. We are finally starting to creep out of the ombre phase and graduate into more edgy and even sophisticated color styles. 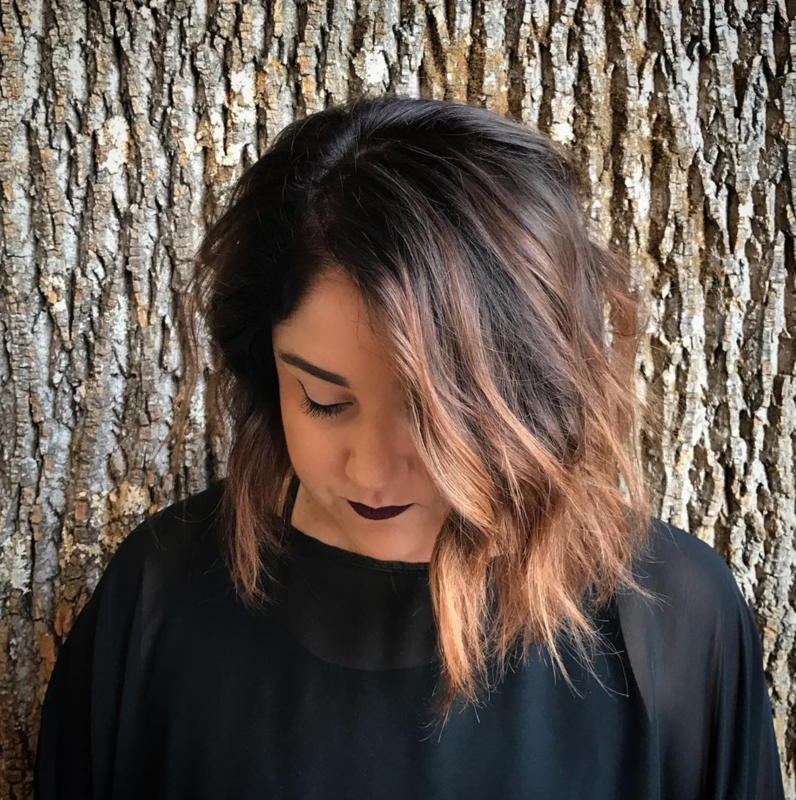 While the basic ombre embodies a feeling of casual, low maintenance beauty, it’s new improvements include “peek a boo streaks of primary and secondary vibrant shades coming through underneath the base,” Tony Gordon, Owner of Gordon Salons said. “I think 90s beauty has come back significantly with hair color in the past couple of years,” Emilia Rossini said. She sees the 90s represented in pastels, buttery blondes and auburn colored hair. When you think about it, the low maintenance grunge of the 90s does translate into the “undone” and “natural” colored hair we are constantly seeing today.